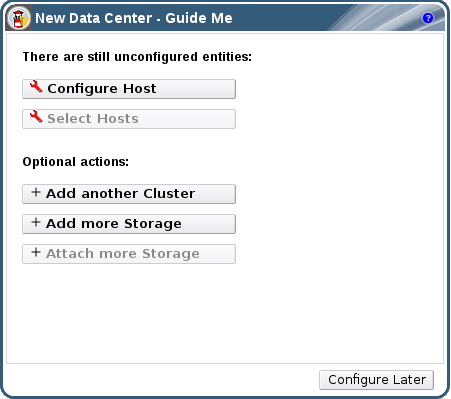 When setting up resources such as data centers and clusters, a number of tasks must be completed in sequence. The context-sensitive Guide Me window prompts for actions that are appropriate to the resource being configured. The Guide Me window can be accessed at any time by clicking the Guide Me button on the resource toolbar.